width=”150″ height=”150″ />He’s been doing a lot of these songs lately, to the point that the law of diminishing returns is inevitable. It’s the combination of so many great party songs already in the Dierks Bentley catalog and the fact that many of these earlier efforts were more interesting and enjoyable. We’ve already heard him do this already, including on two of the previous three singles from his current album. Bentley’s engaging enough of a personality and effective enough as a vocalist to keep the proceedings professional and competent. But “Tip it on Back” is just one of those forgettable songs that every time you hear it, it’s just a reminder that it exists. Ugh. 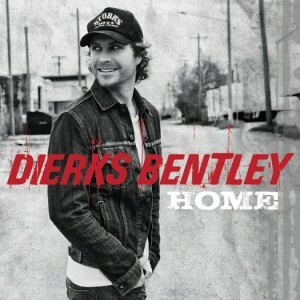 I so wish Dierks Bentley would lay off this type of song. The song is forgettable already, but I also find the arrangement on this track quite grating. Besides the arrangement (which just sounds like more of the same faux Southern rock with twang to me), there just isn’t anything especially unique about this song in terms of lyrics, where it used to matter the most in country. I wonder if unique lyrics really ever mattered. A lot of older songs seem to have pretty standard and pretty pedestrian lyrics, too. Anyway, I don’t think the average radio listener is paying close attention to the lyrics, and certainly not the kind of attention paid to the lyrics by music critics. Thus I often wonder if the features of song lyrics that critics despise (e.g., cliches, the same theme over and over again, played out rhymes like girl with world) actually make the songs “better” for the typical listener — better in the sense of easier to remember or enjoy even when not able to pay attention. I don’t think the average radio listener is paying any attention to the lyrics. But many radio hits have bad lyrics any way. Well, it’s better than 5-1-5-0. Though to be fair, my cat coughing up a hairball sounds better than 5-1-5-0. Lyrics matter to me! That’s why for me, “Rain Is A Good Thing” was the last great Luke Bryan song and everything since by him since is so disappointing. For me, when a song like “Neon” has to struggle so hard before finally gaining a foothold on radio, but the pandering, artistically bankrupt Tim McGraw and all the Aldean clones with their identical songs are burning up the charts, it’s heartbreaking. The problem I have here with Dierks Bentley, in particular, is that he’s capable of boldness and bravery — and this is just one of many copouts. Or should I say sellouts? The creative bankruptcy that is corporate radio, and the complacency with which the public receives it, makes me fear for the culture. Sam G.– lol!! I’ve never heard your cat, but I think I would agree! But hey man, we’re throwing off on a former #1 country song so surely we’re missing something…NOT! Country songs don’t have to be good or meaningful anymore, it’s just if your label’s got enough money to pay for the stations to play it!! I love that song by Thompson Square, GLASS, but it can’t even muster up enough spins to get out of the Top Twenty, but a stupid song about calling the po-po runs right to the top! What’s wrong with this generation? ?